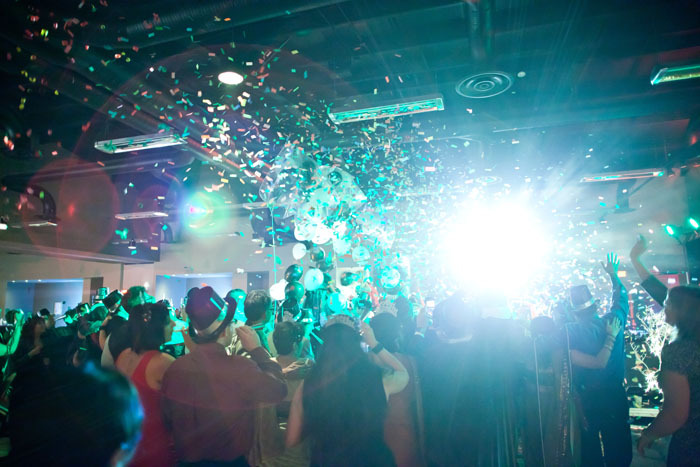 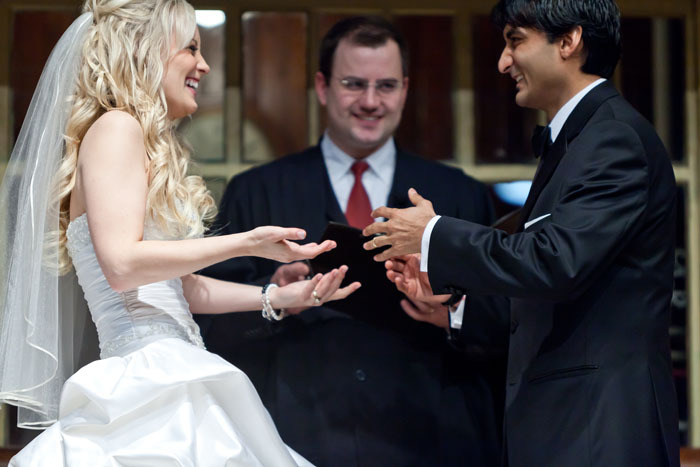 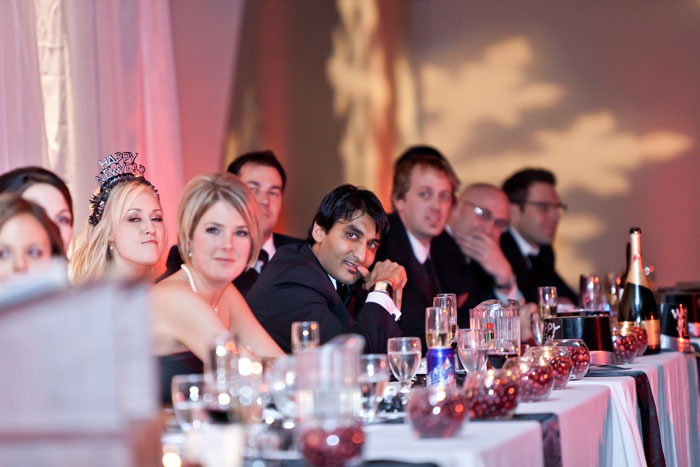 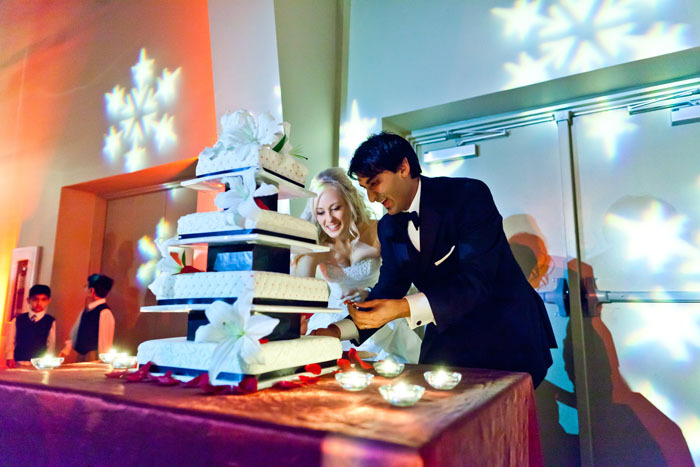 Nicole and Jayesh wanted their wedding to be a big party, and what better way to accomplish that than getting married on New Year’s Eve. 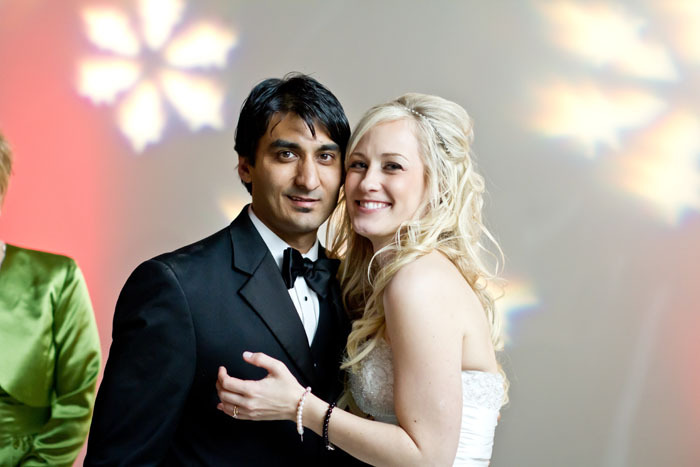 I’ve had the opportunity to shoot this vibrant couple in the past, and I was honoured when they wanted me to be part of their wedding. 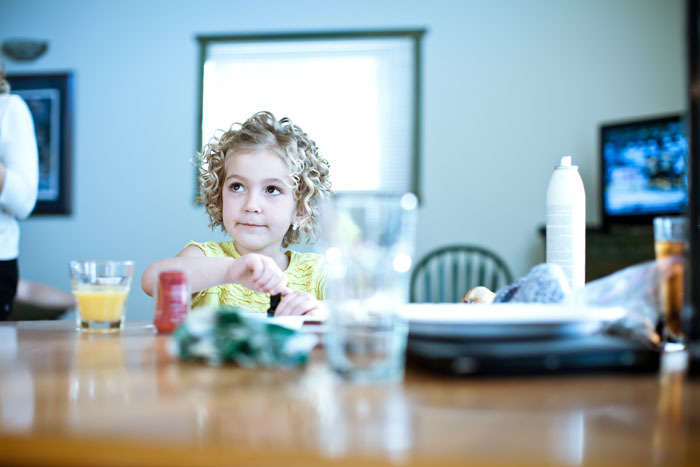 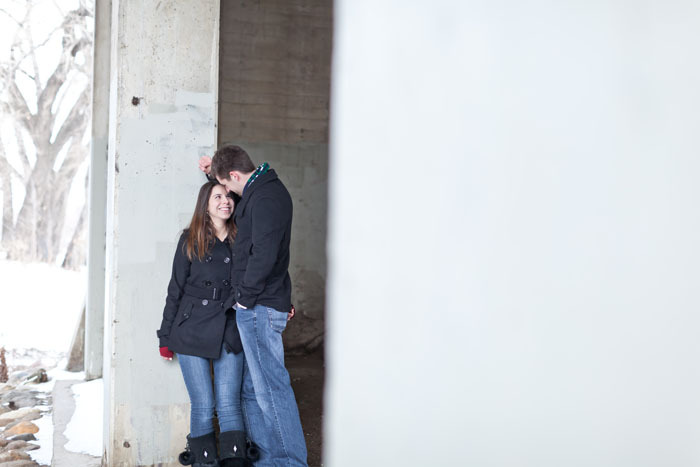 It also gave me the opportunity to work with a great photographer, Jen McDougal for parts of the day. 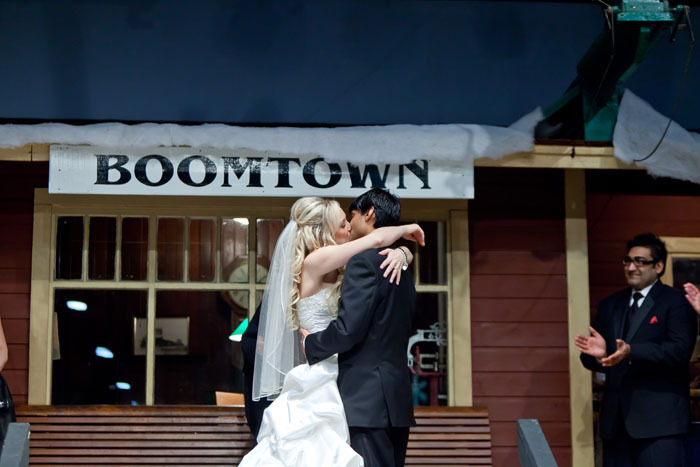 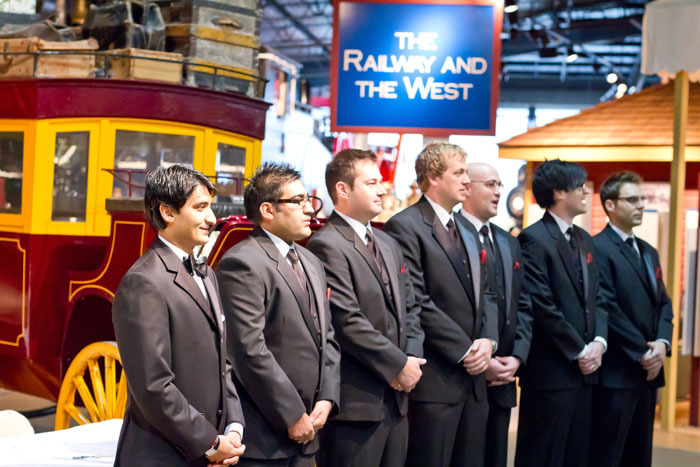 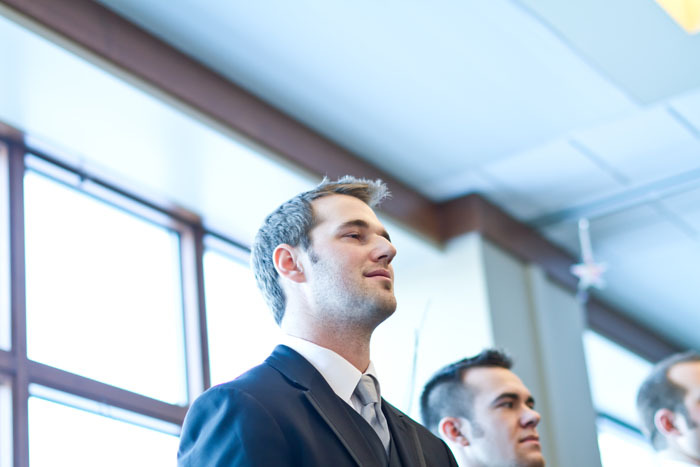 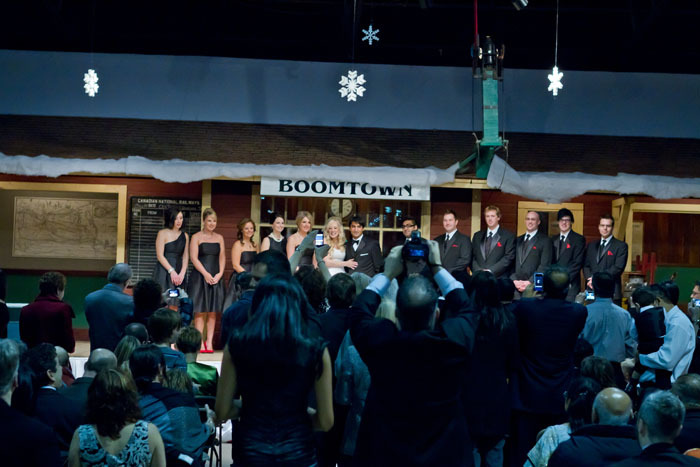 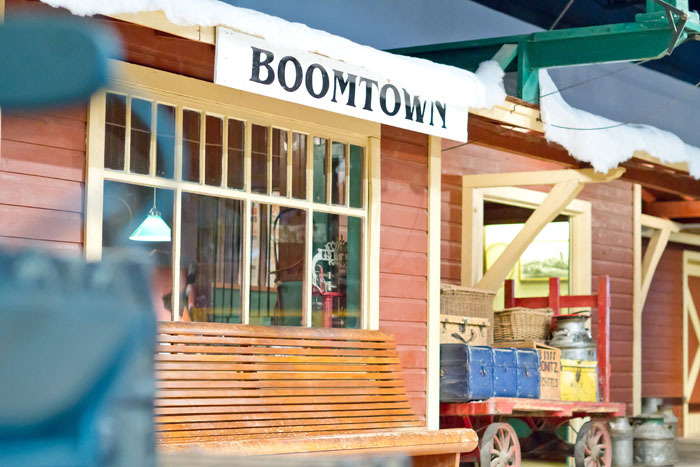 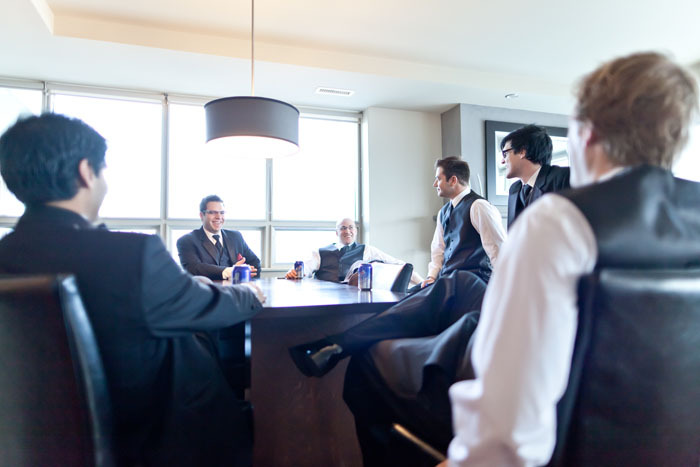 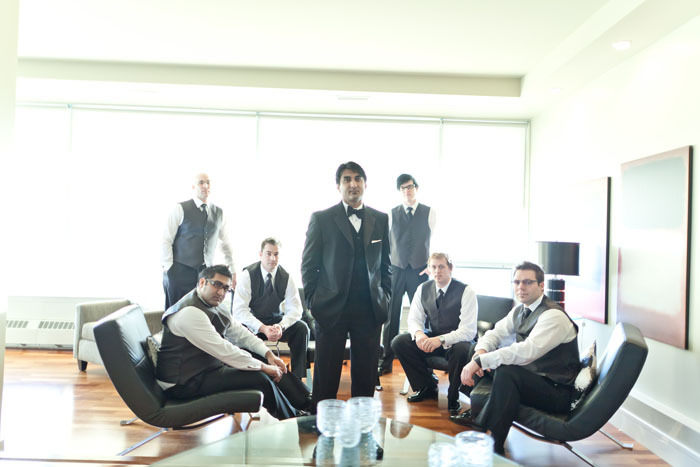 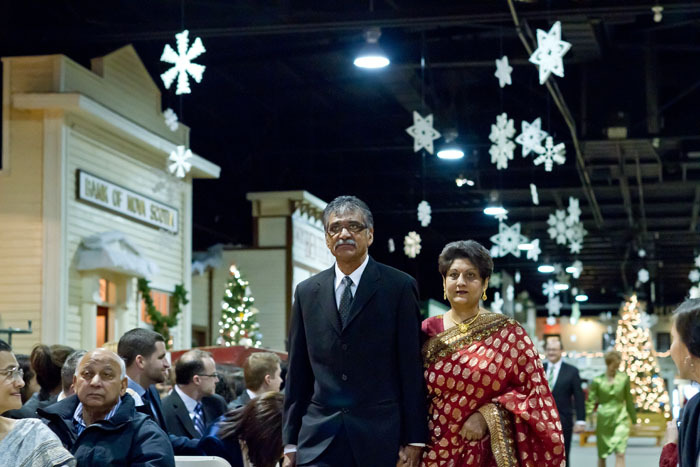 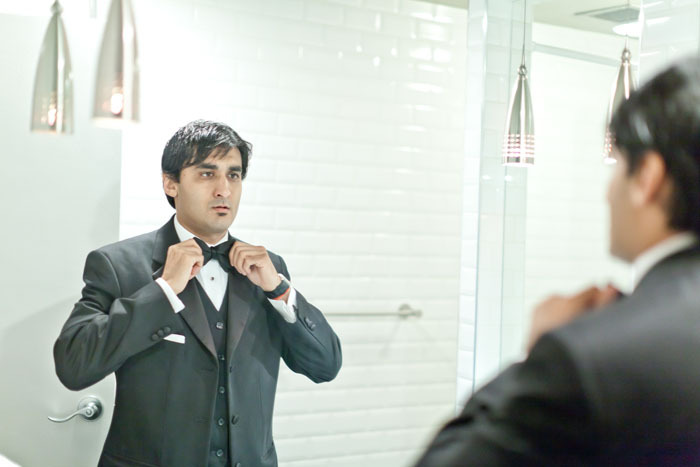 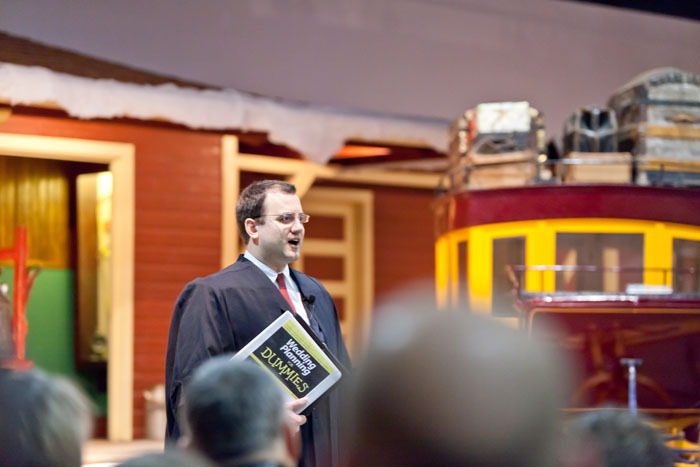 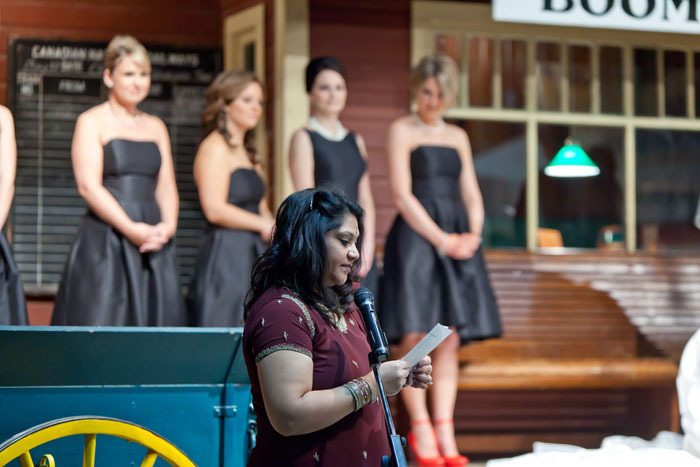 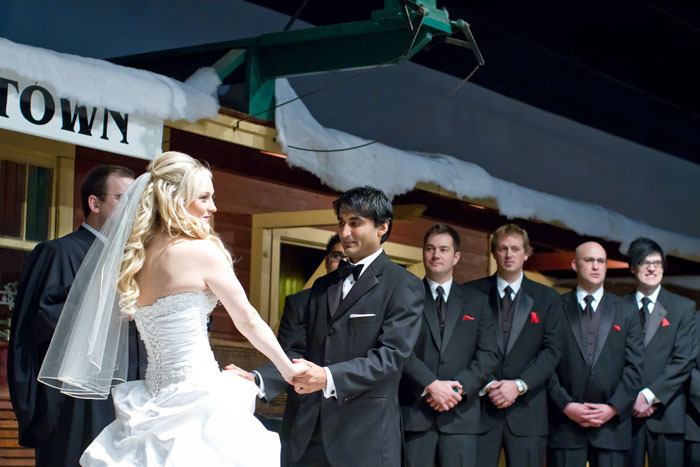 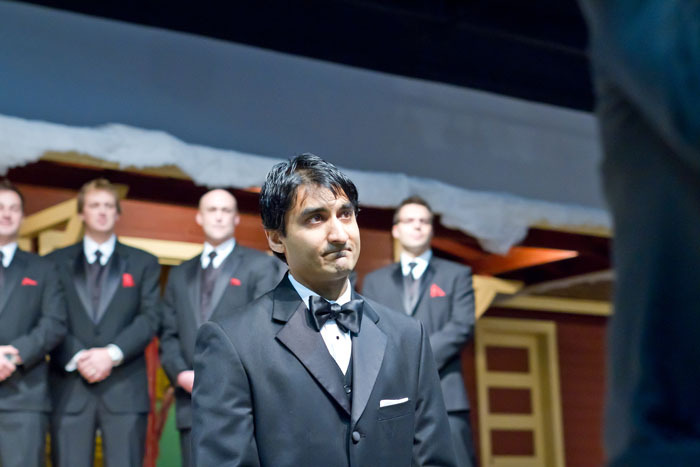 My role was to spend the morning with Jayesh and his groomsmen and travel with them to the ceremony at Boomtown in the Western Development Museum in Saskatoon. 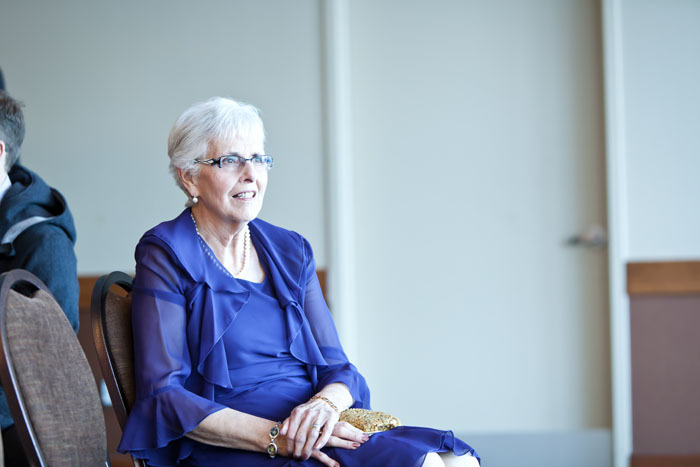 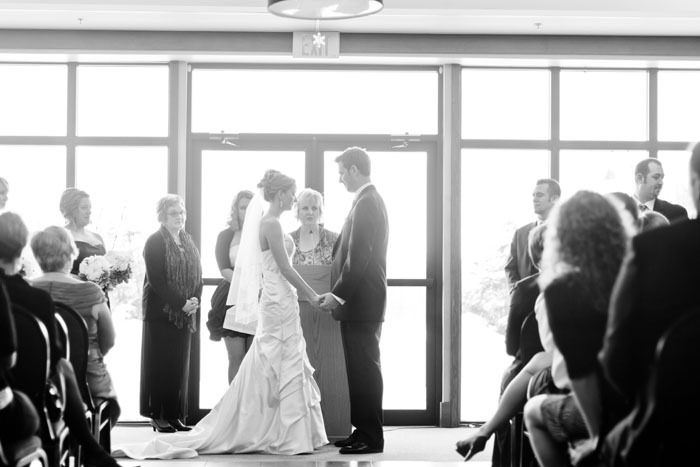 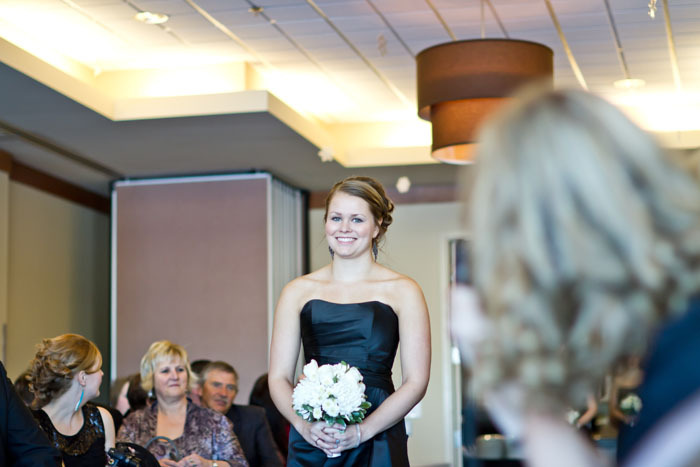 After capturing the ceremony I would focus on getting candid shots throughout the rest of the festivities. 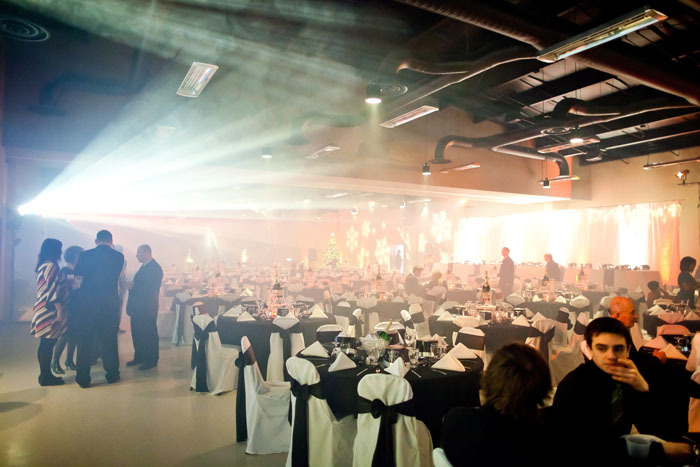 Dinner and the reception was at the awesome new German Concordia Club. 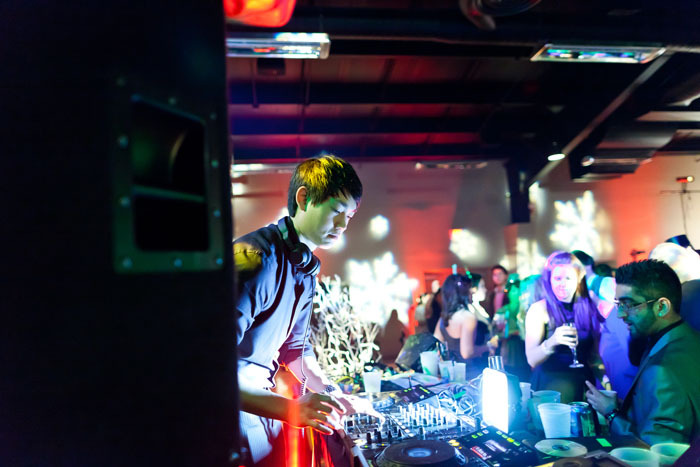 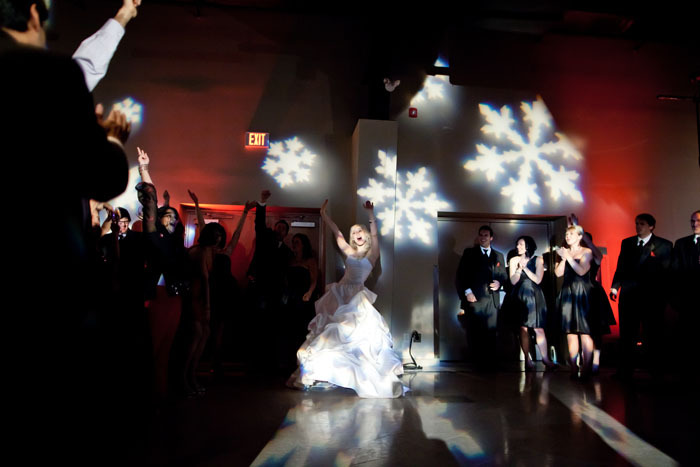 This was the perfect venue for what they had planned – a grand party for hundreds of guests, featuring a world class meal, ice sculptures on every table, incredible decorations, and four talented DJs. 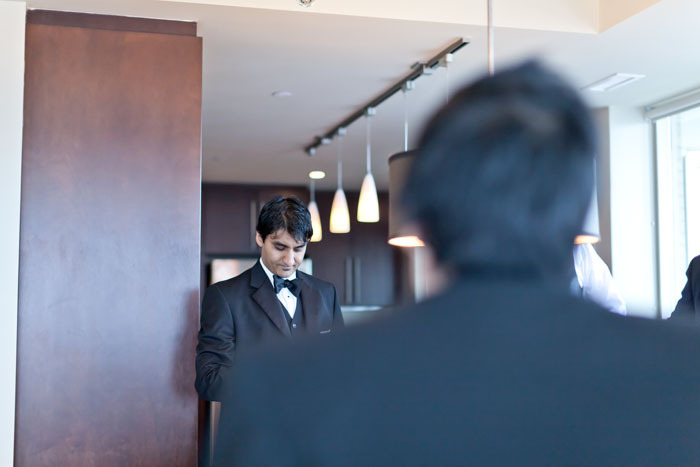 If you’ve ever met Nicole and Jayesh, you know how they deliver on parties. 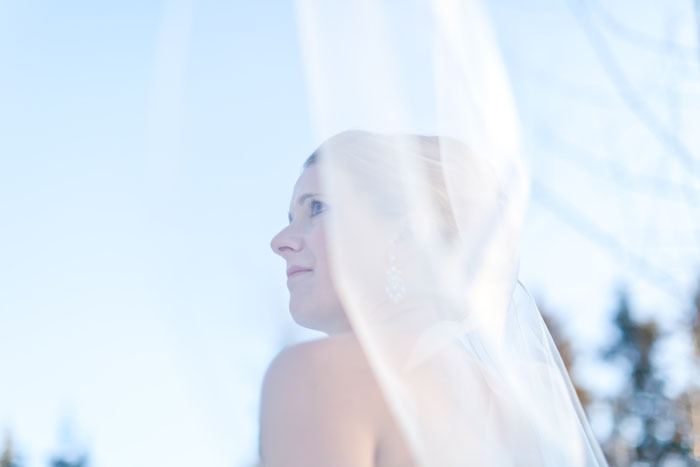 Here’s some of my favourite photos from the day. 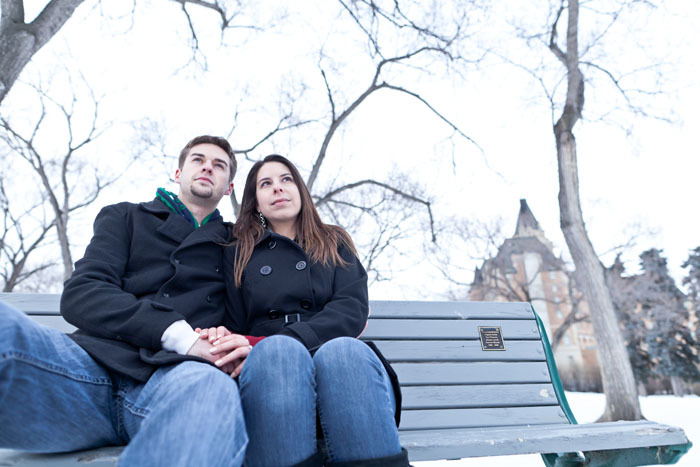 Lindsey and Scott are getting married this summer in Saskatoon. 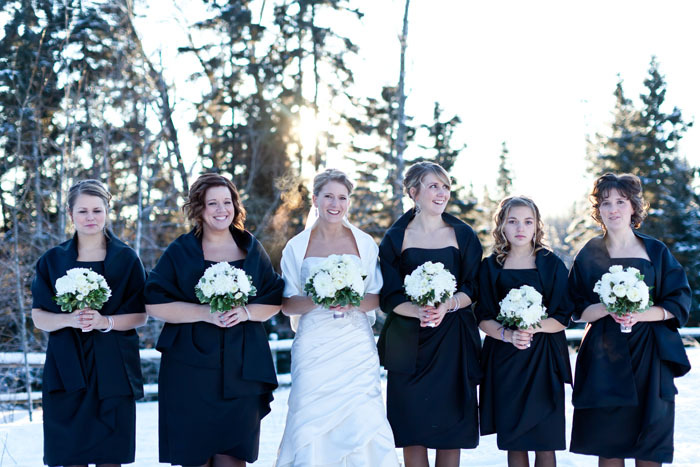 Lindsey liked the idea of a winter wedding, but wasn’t able to make it work out. 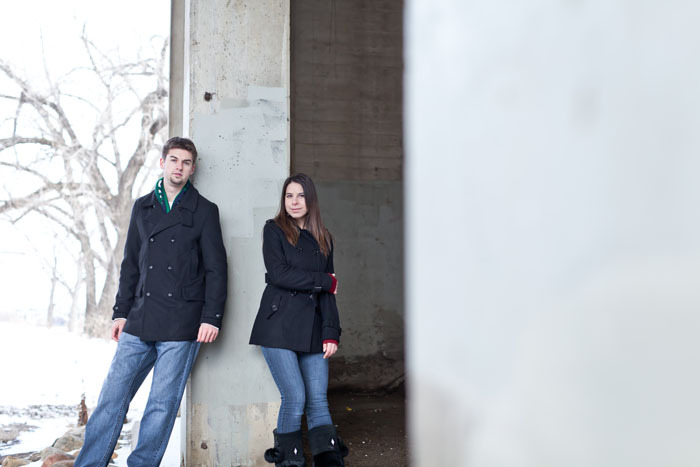 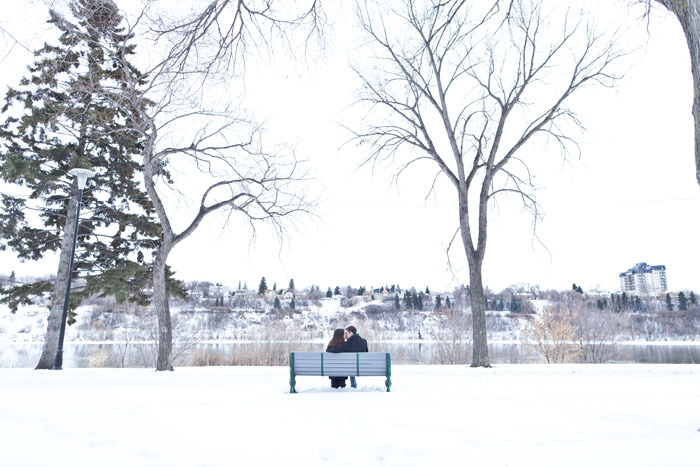 She figured that the next best thing was to have their engagement photos done in the winter. 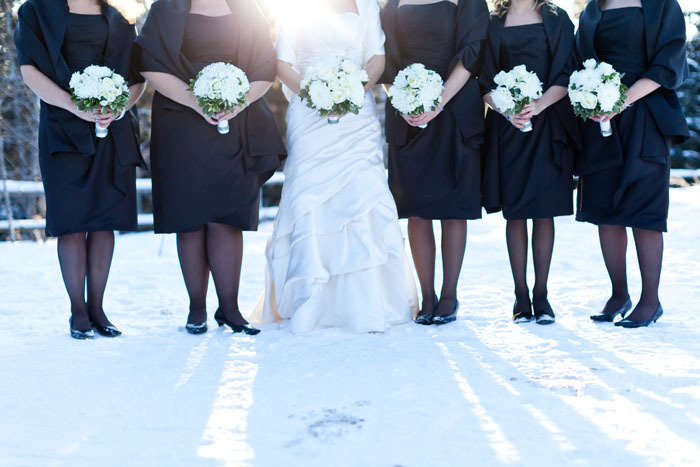 Even though snow was in limited quantity this year, we were able to get a day where there was some white stuff on the ground. 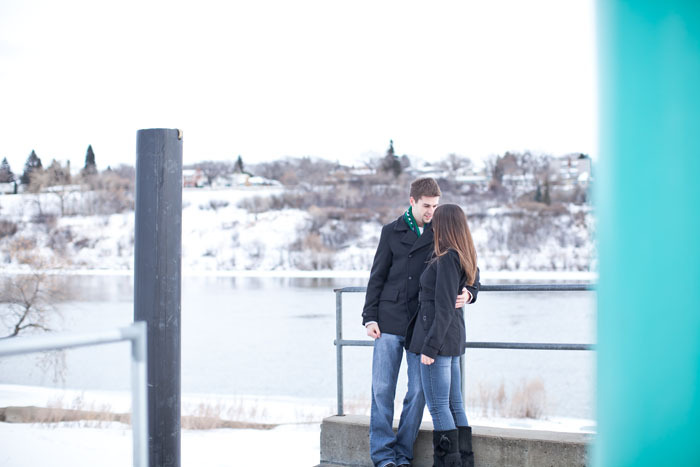 We spent some time together late one afternoon by the river in downtown Saskatoon. 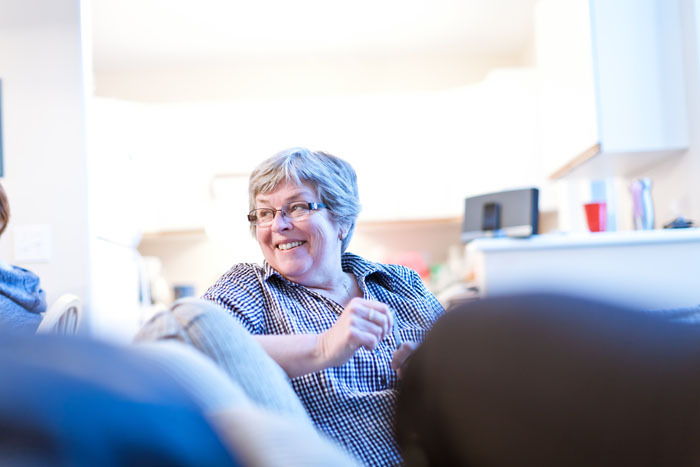 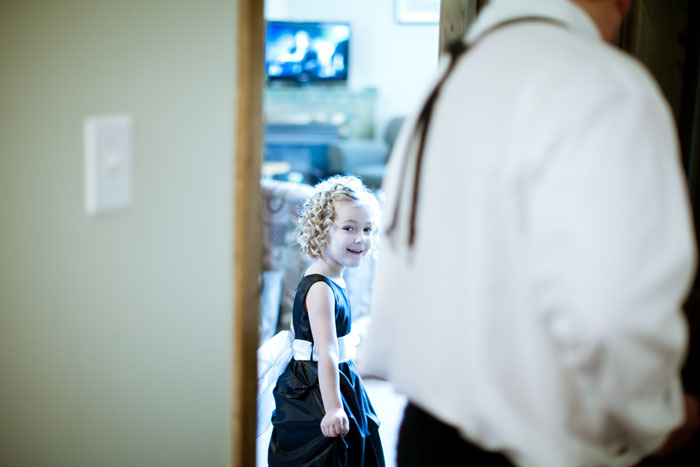 Here are some of my favourite photographs from the day. 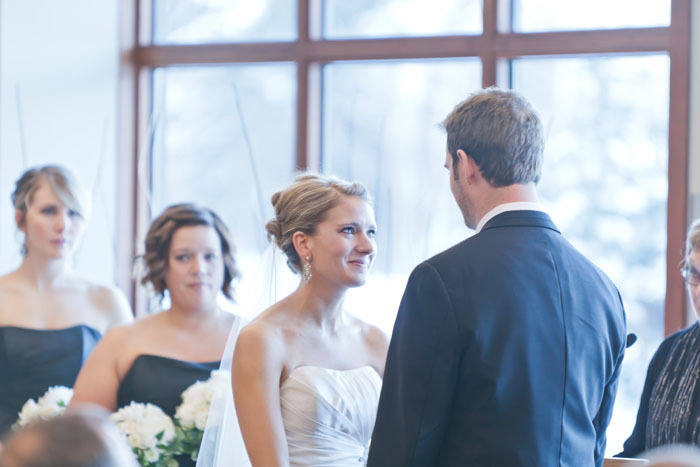 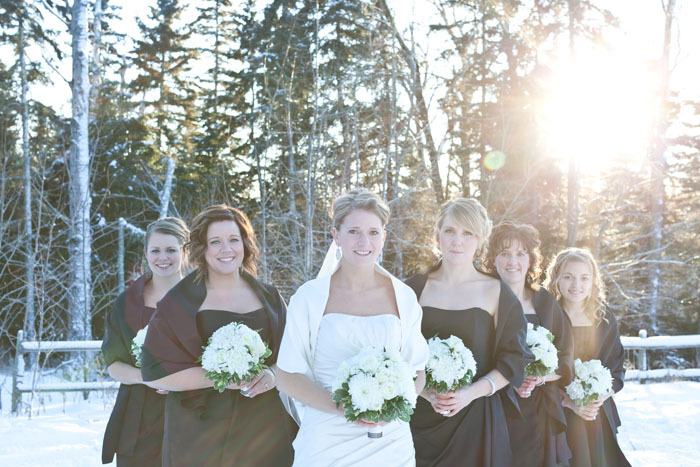 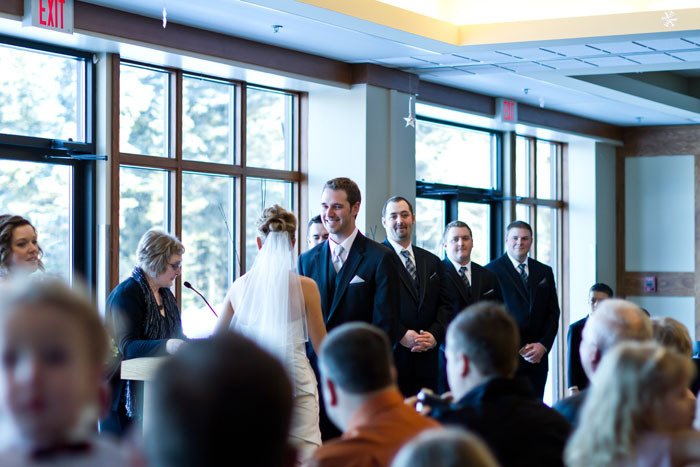 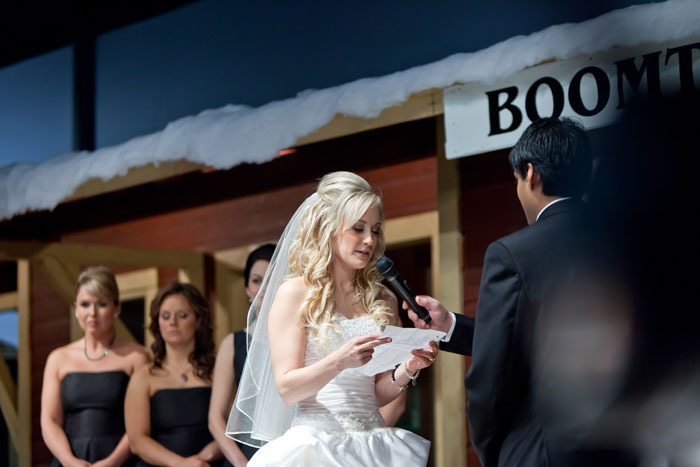 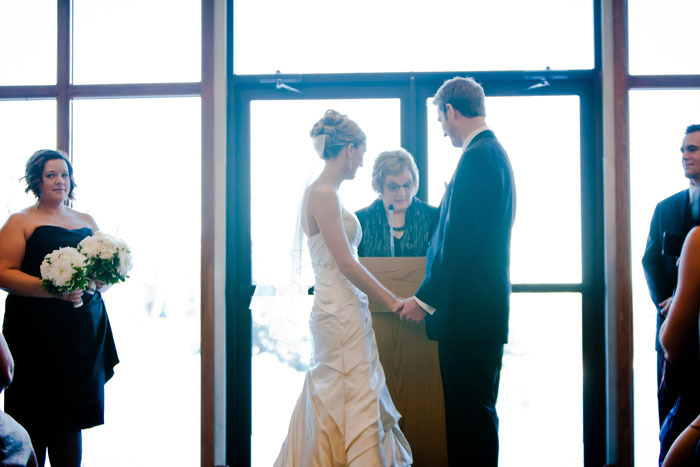 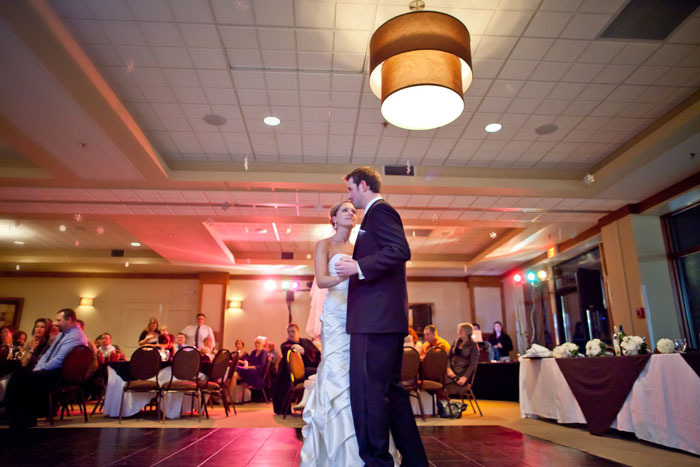 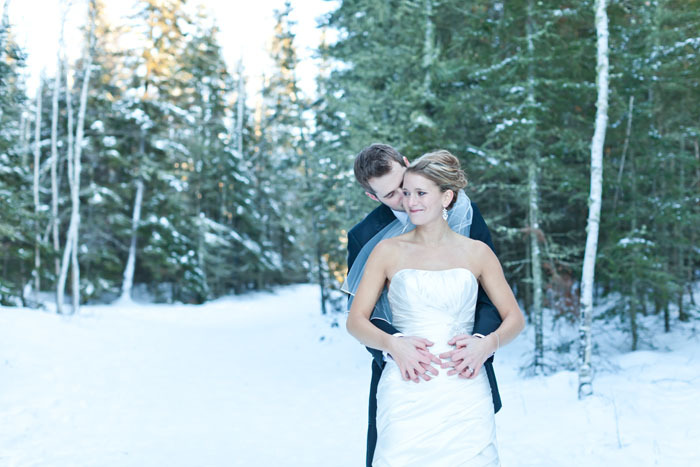 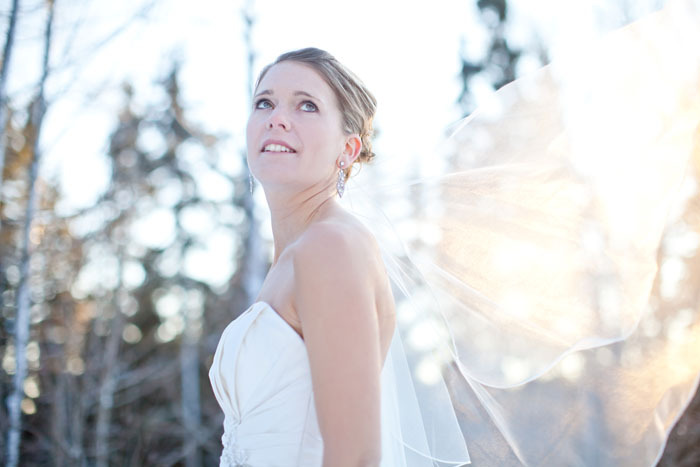 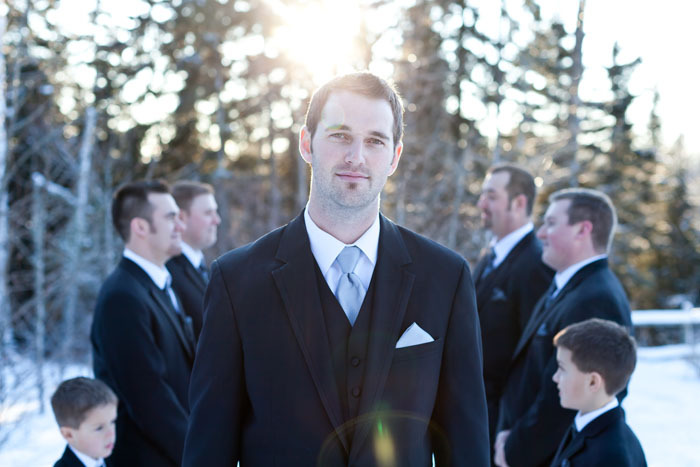 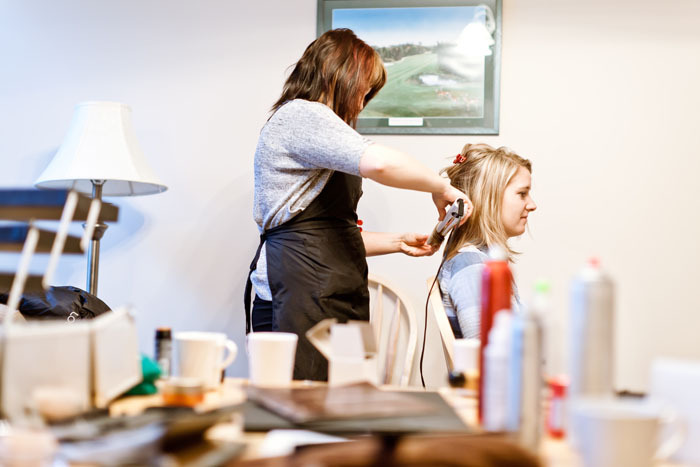 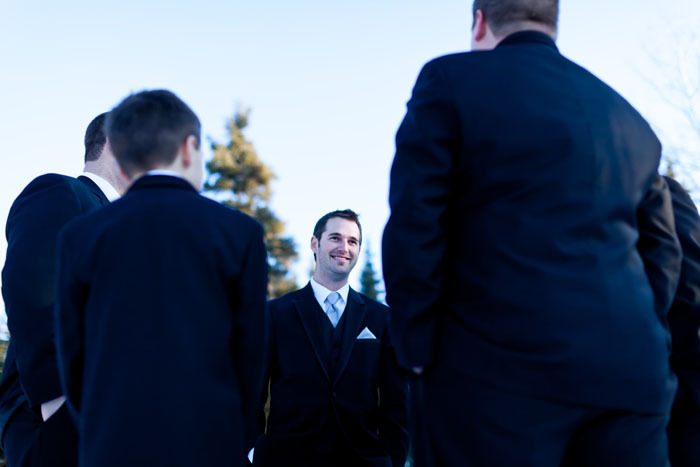 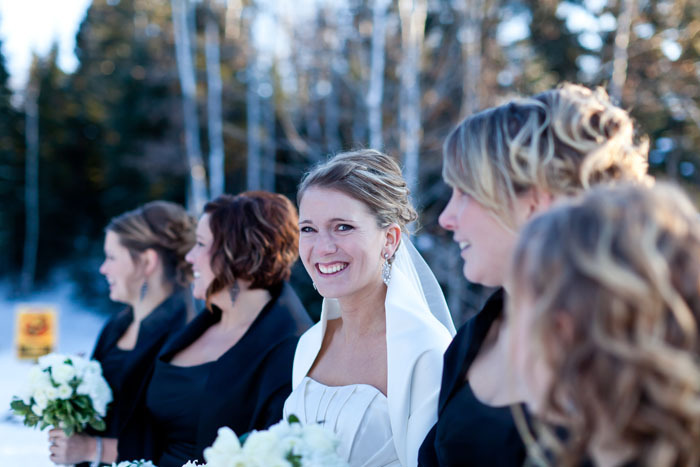 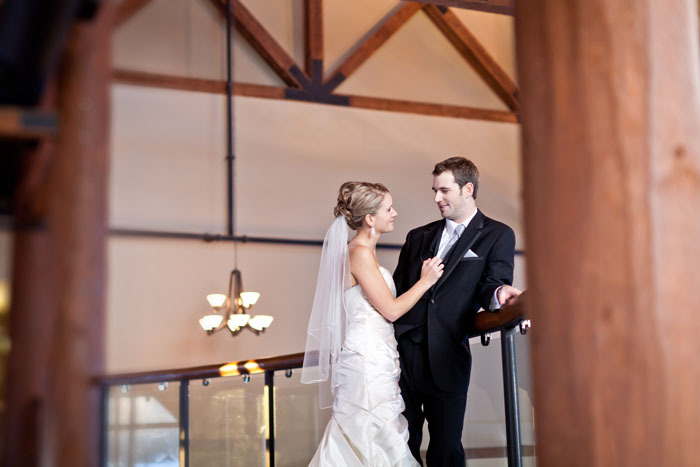 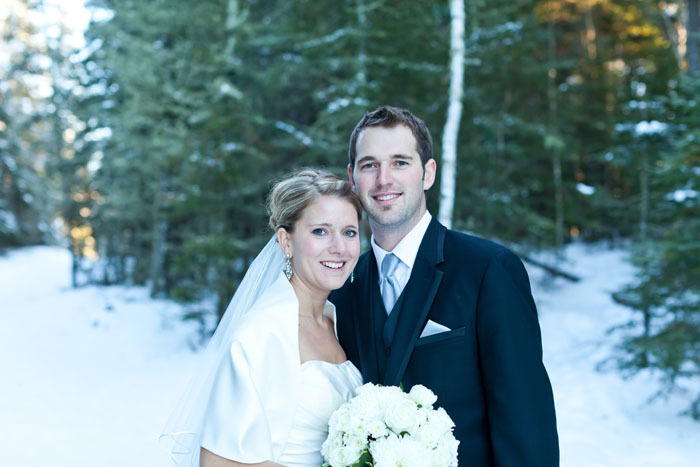 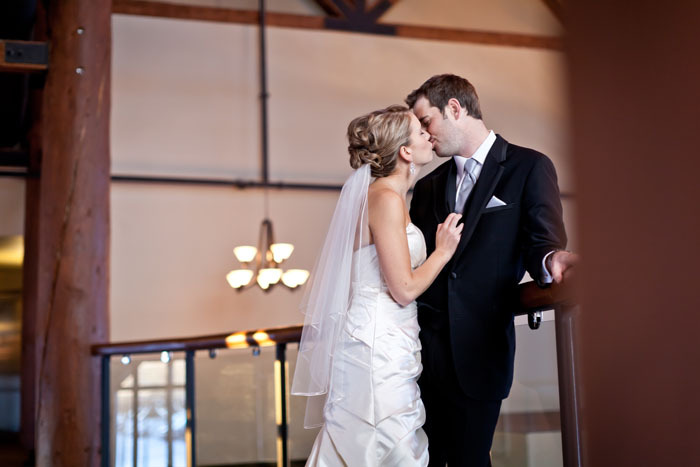 Jenna and Cam got married this January at the Elk Ridge Resort near the Waskesiu National Park. 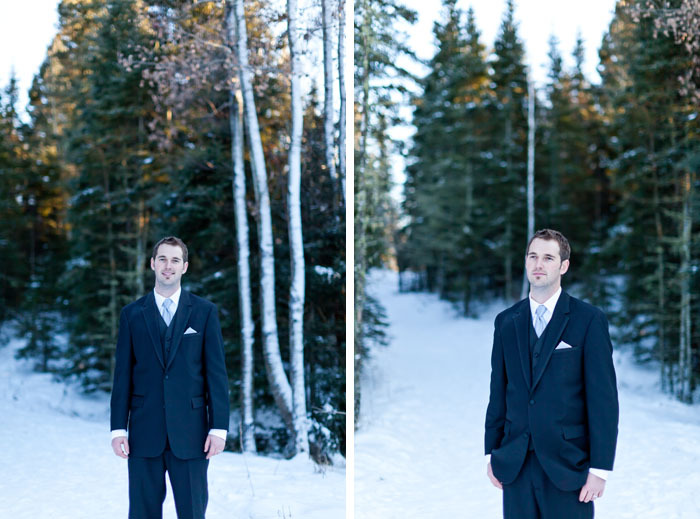 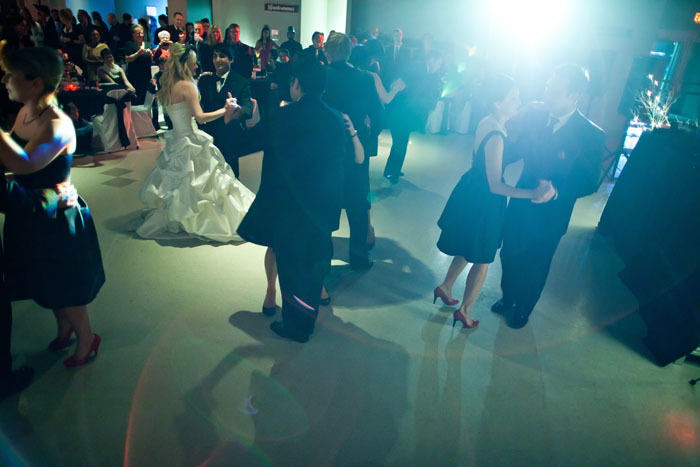 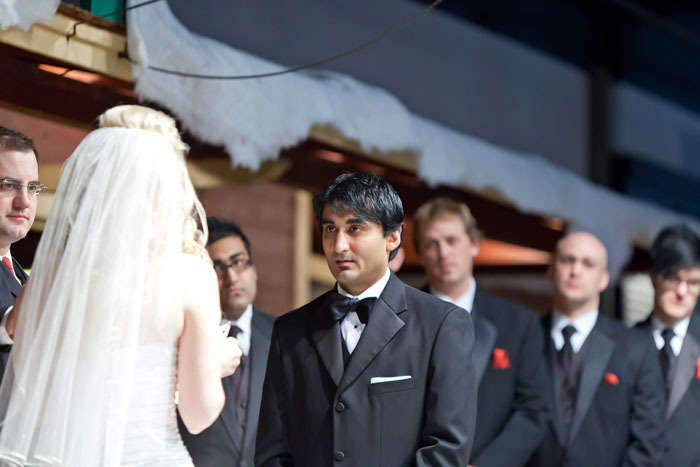 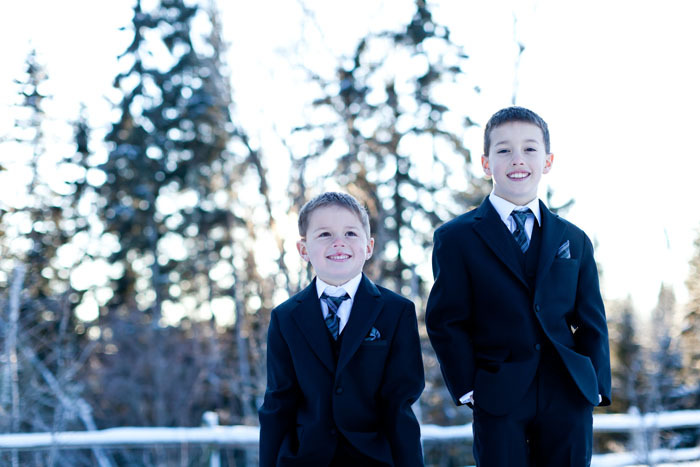 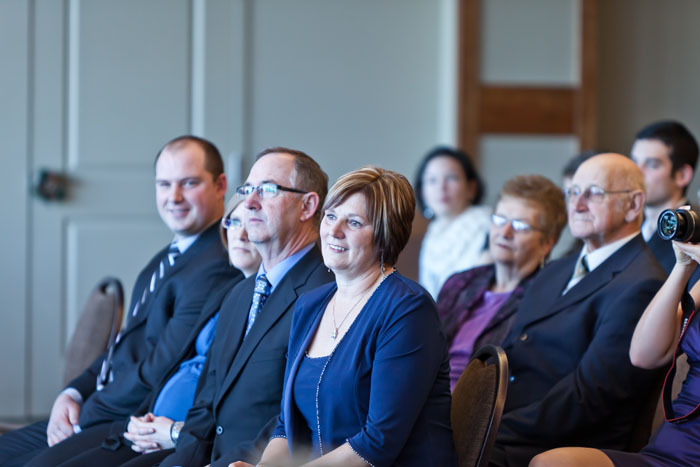 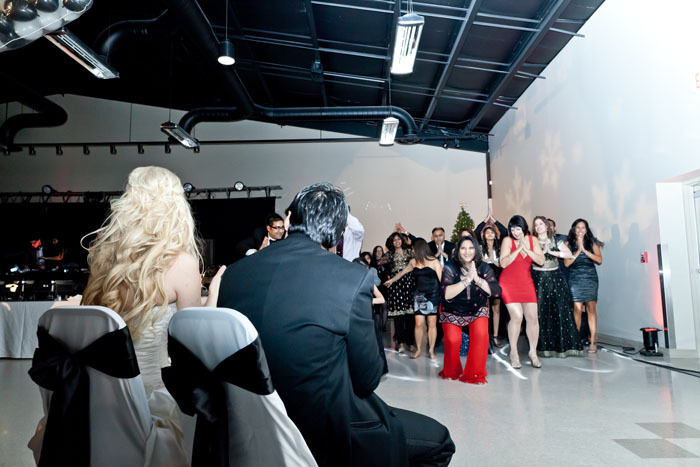 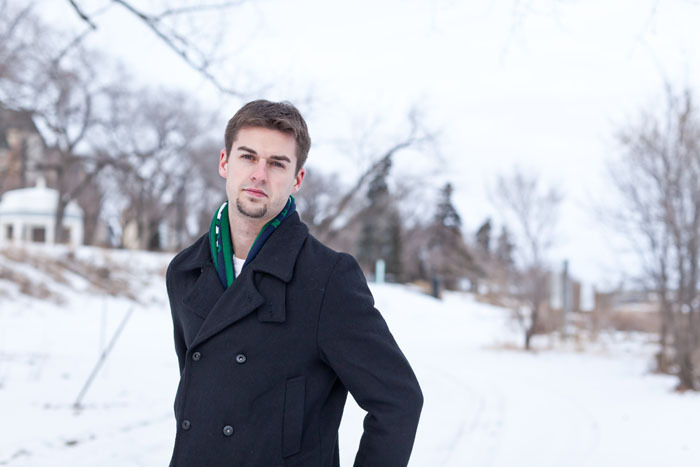 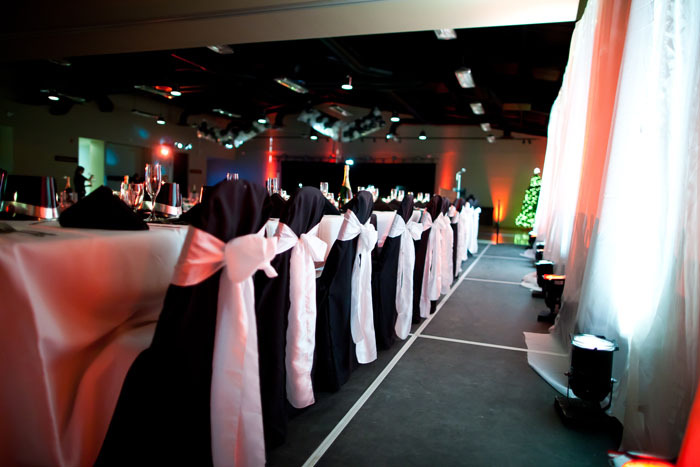 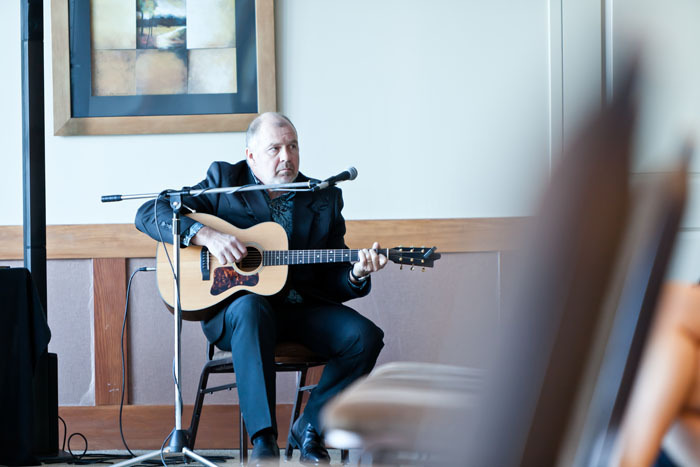 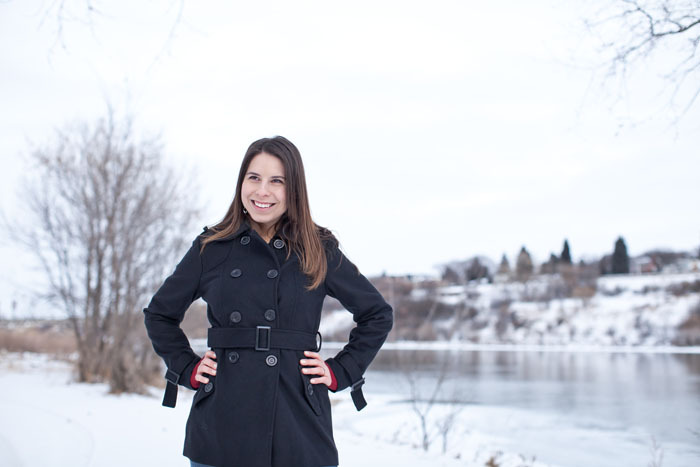 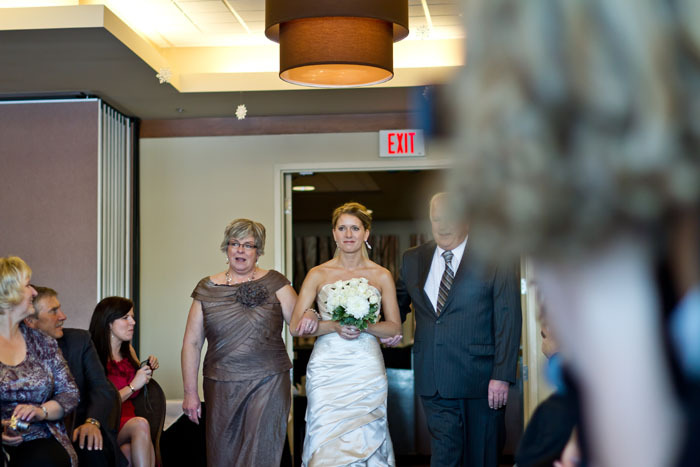 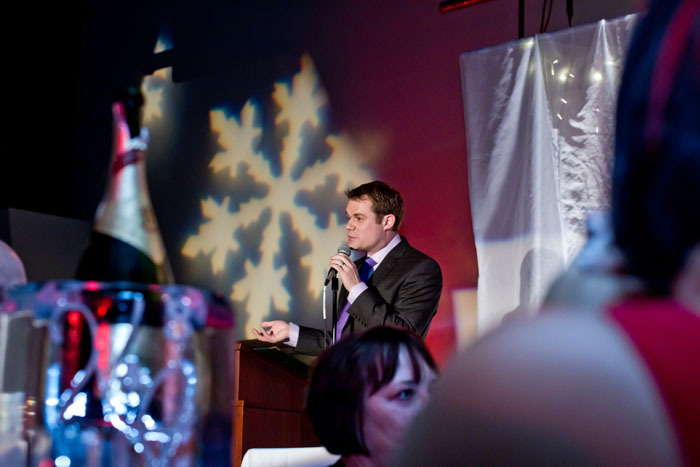 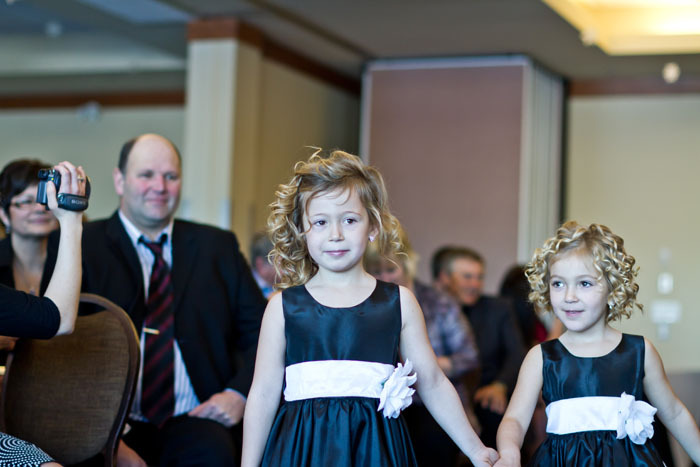 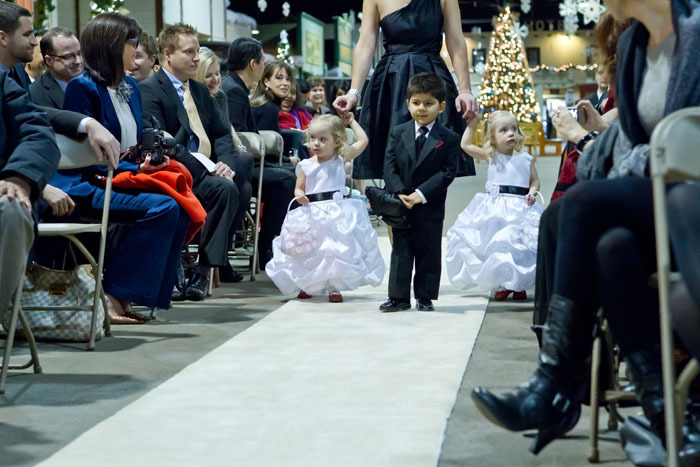 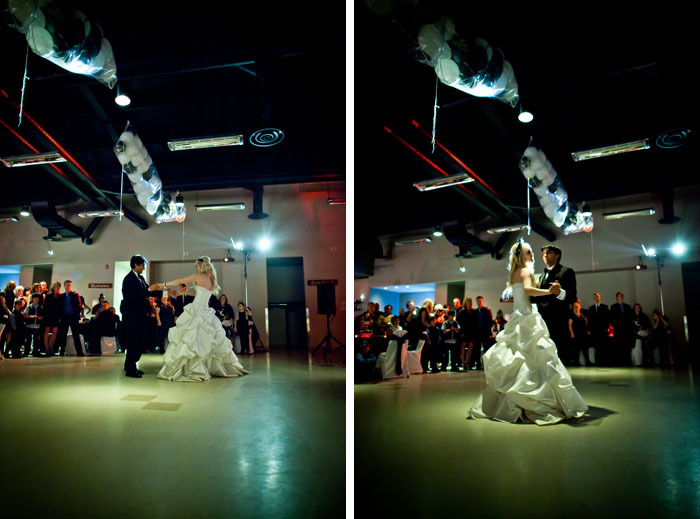 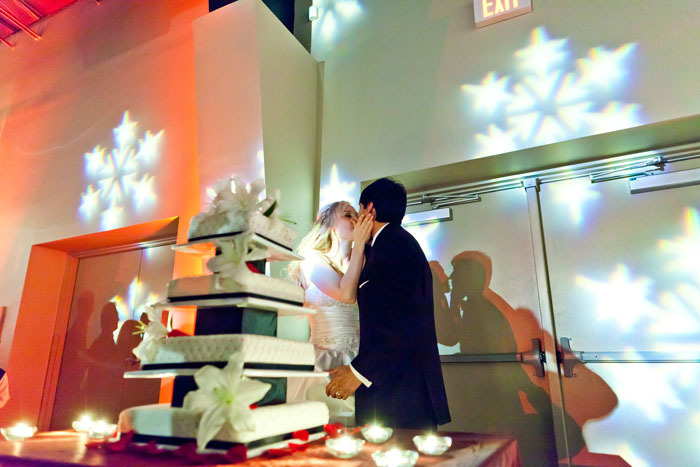 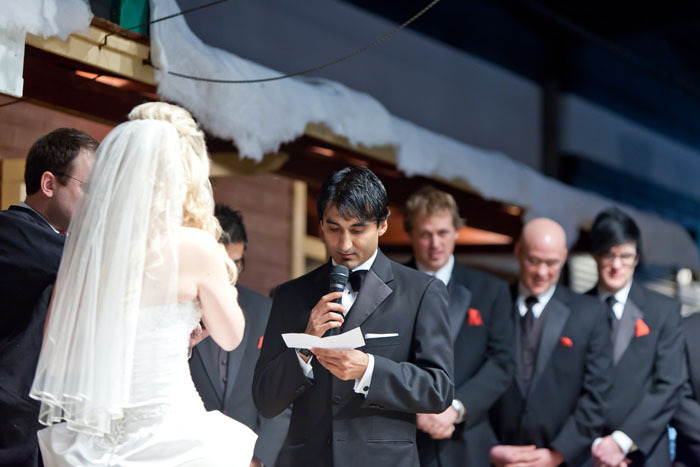 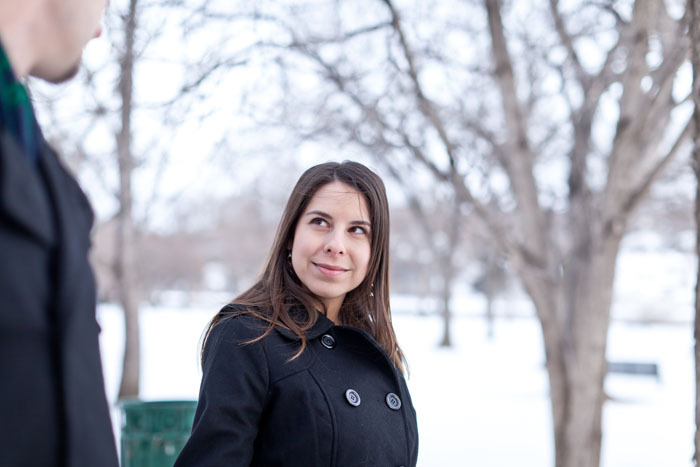 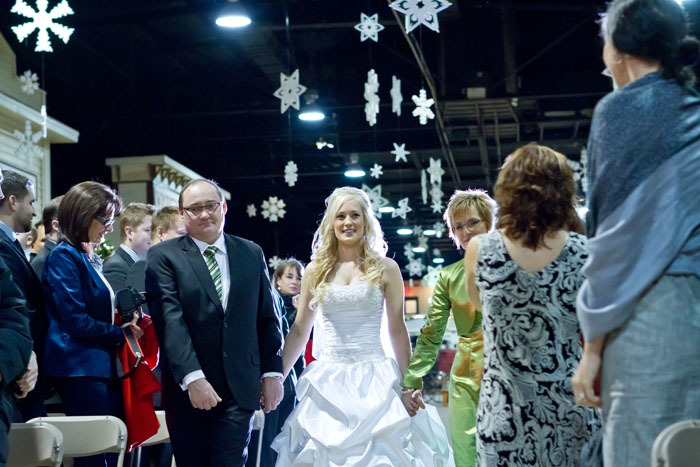 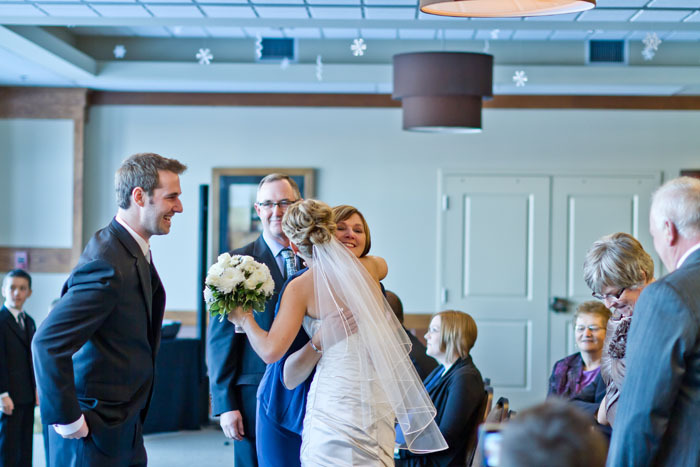 They wanted a nice winter wedding, and I was a little bit nervous since there was no snow in Saskatoon at that time. 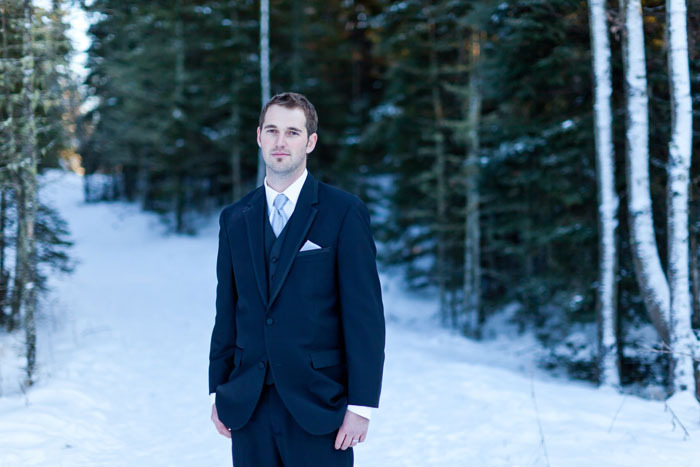 On the final stretch of my 2 1/2 hour drive to the resort, a snow storm seemed to emerge out of nowhere. 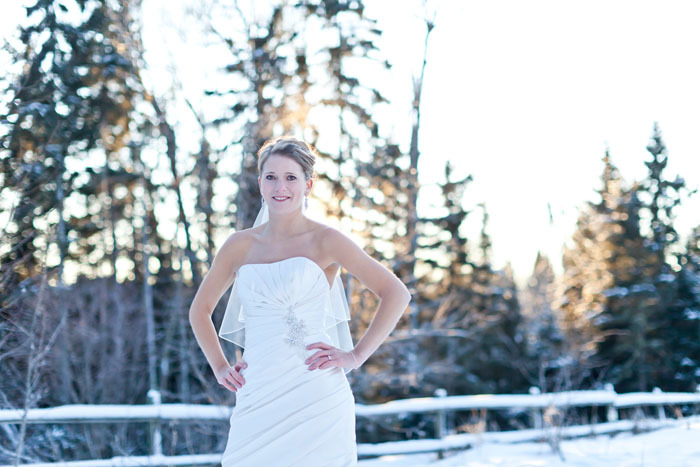 Visibility was down to almost zero and I puttered along at 30km hour until I arrived at the northern Saskatchewan getaway. 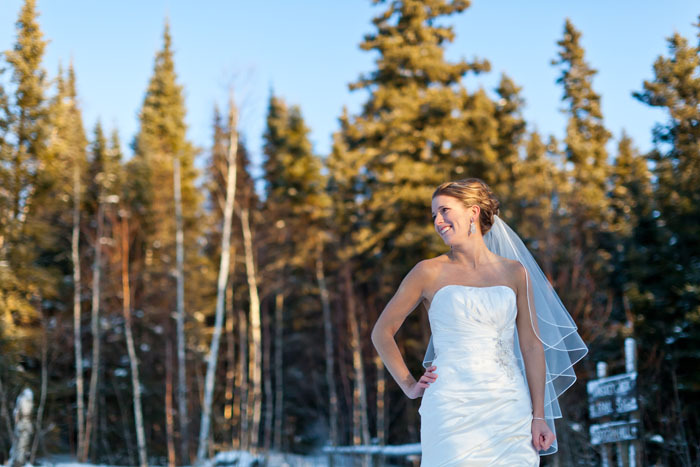 My worries of no snow for a winter wedding were quickly snuffed out as I drove through the resort. 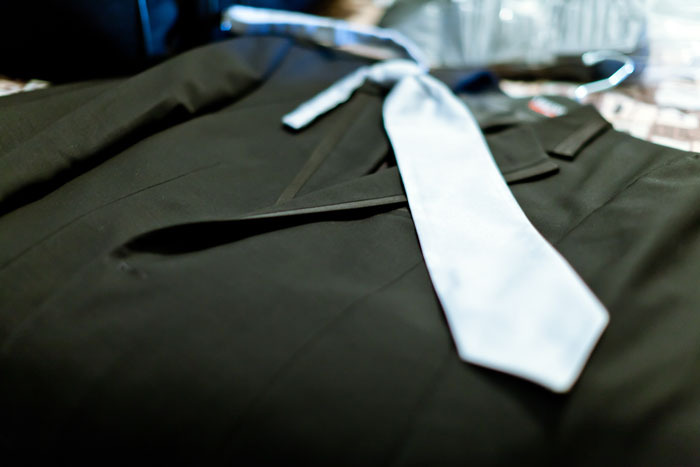 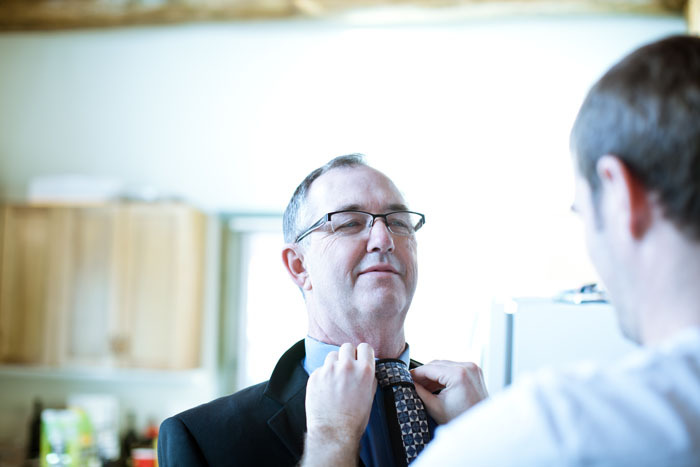 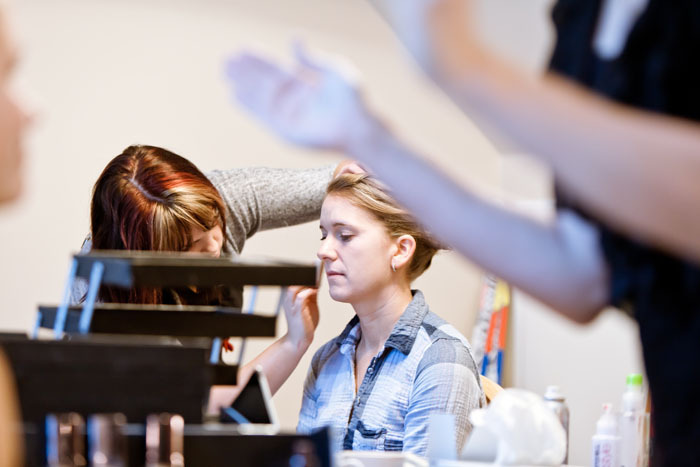 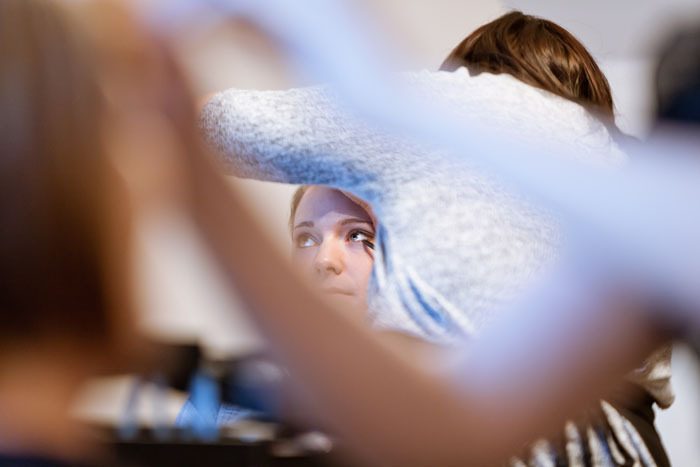 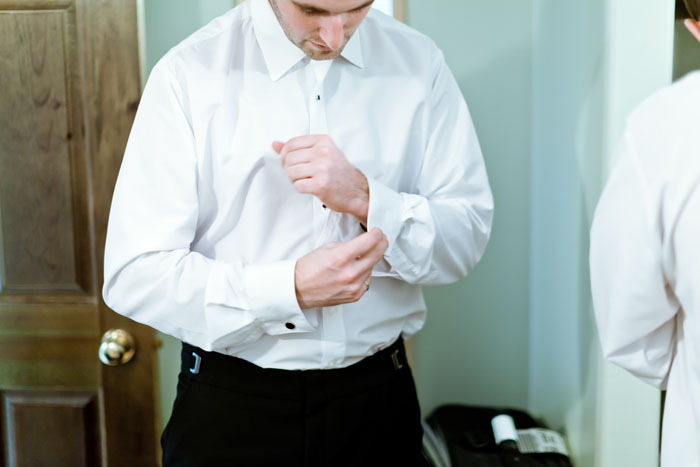 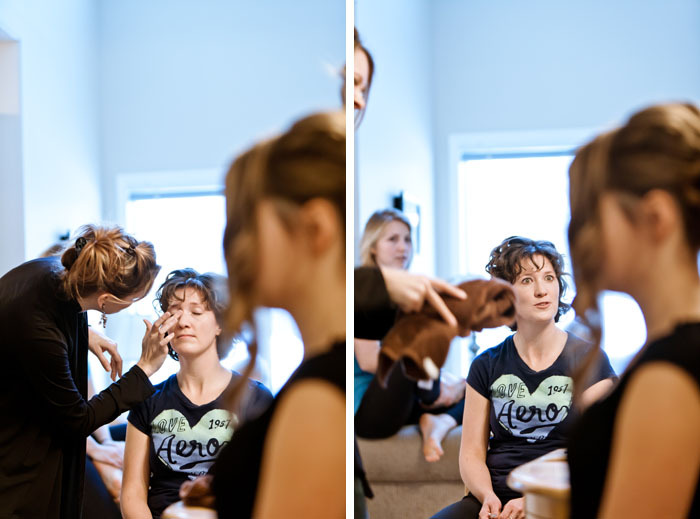 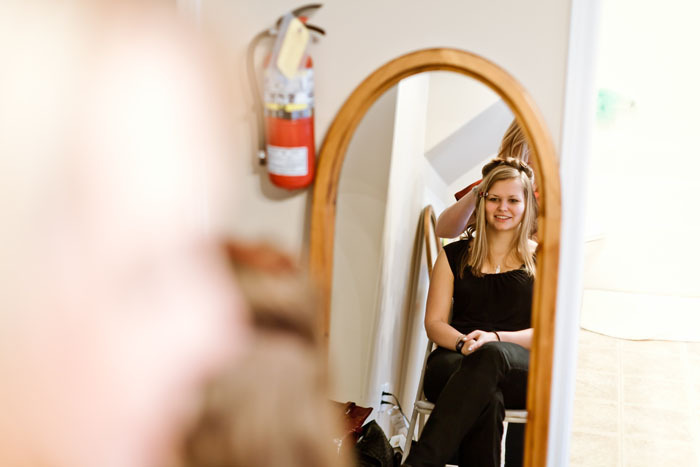 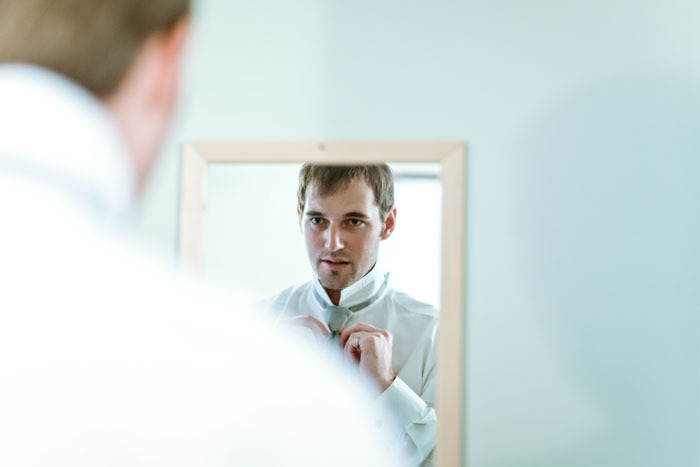 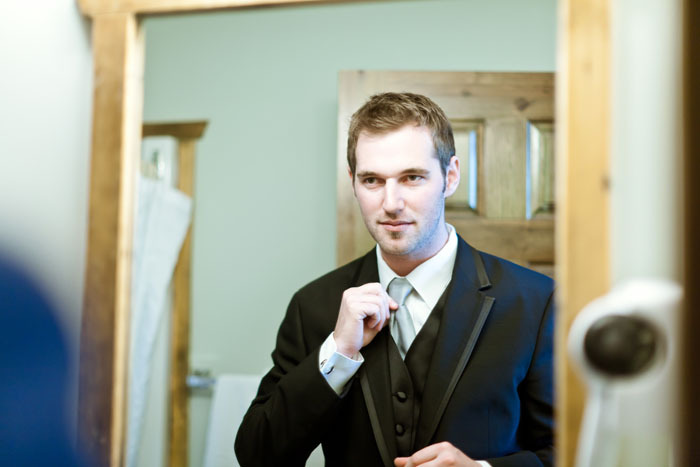 I spent the wedding day going back and forth between Jenna and her attendants, and Cam and his groomsmen as they got ready for the day. 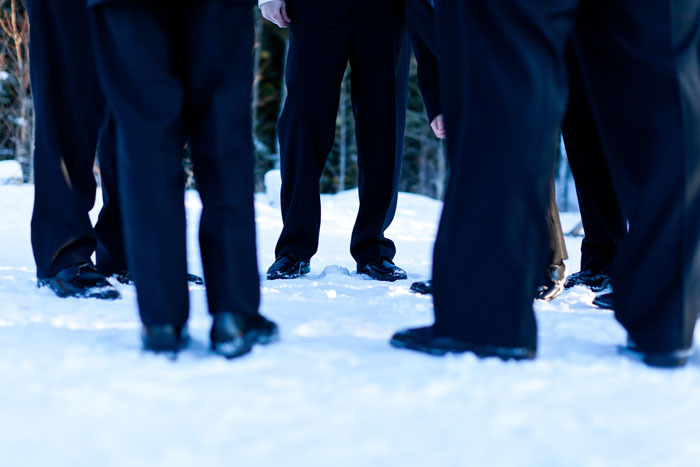 The ceremony was short and sweet and with another gorgeous winter day, we spent the afternoon outside to make some photographs. 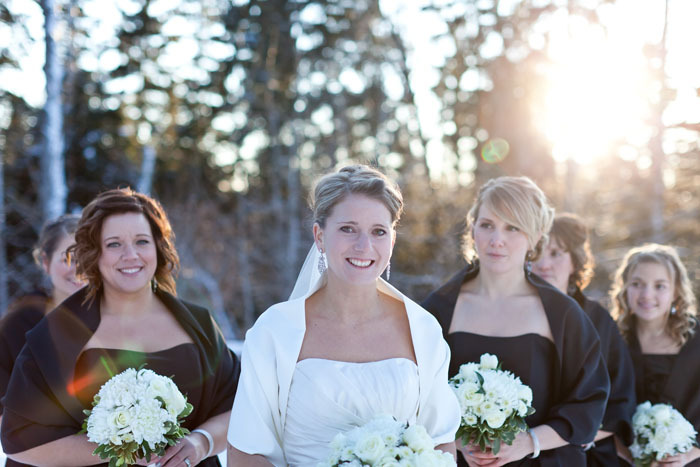 We made our way back to the resort as the sun dipped below the horizon for the remainder of the celebration.